Home > Headlines > News > Three things to know about Mercedes-Benz Vans. When looking for a van, there are several options available. None of these options, however, compare to the Mercedes-Benz Sprinter and Metris Vans when we talk about refinement, technology, and customization. 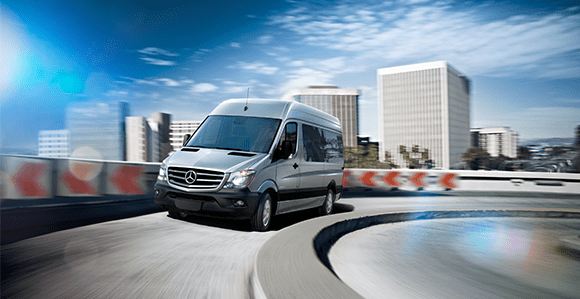 With the Mercedes-Benz Sprinter and Metris, you’ll get a van that meets all your transportation needs, whether it's carrying passengers or transferring goods. There are three types of Mercedes-Benz Vans, the Combi (Passenger), Cargo (Merchandise), and Chassis Cab models. Here are three things to know about Mercedes-Benz Vans. There is an all-wheel drive model. The Mercedes-Benz Sprinter is available in a 4x4 version equipped with all-wheel drive. It’s the only commercial van to offer the all-wheel drive system that delivers high performance and uncompromising stability regardless of road conditions. With a Mercedes-Benz Sprinter 4x4, nothing will get between you and your destination. The cost of ownership is affordable. When we compare the total cost of Mercedes-Benz Sprinter and Metris Vans with their rivals, the reduced cost of ownership for each of these models means that it’s not necessarily more expensive to own a Mercedes-Benz van. More spacious than their rivals. The Mercedes-Benz Metris is the only mid-size van in the industry. It, therefore, offers more space than entry-level vans while being more affordable than full-size vans. As for the Sprinter, it offers more than 530 cubic feet of cargo space, which is more than can be said of its rivals. To find out more about Mercedes-Benz Vans, come meet us today.